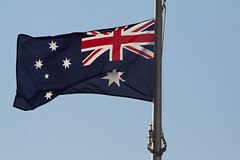 The International Monetary Fund has released a new report on the Australian economy, saying that the new mining tax system should be expanded and the national Goods and Service tax rate should be raised, along with changes to personal and corporate income taxes. On October 28th the International Monetary Fund (IMF) released Australia: 2010 Article IV Consultation, an annual economic assessment of the country, prepared through a series of bilateral meetings with the IMF and the Australian government. Overall, the report praised Australia’s performance throughout the global financial crisis, but suggested several measures for the Government to ensure continued economic growth and heightened levels of social prosperity. The report commended the Government’s plans to introduce a Mineral Resource Rent Tax on iron ore and coal extraction operations, but maintained its previous recommendation that the system should be expanded to include all other types of mineral operations. Australia currently enjoys great benefits from the international demand of its mining commodities, and a rapid expansion of the mining tax would reap immense rewards for the Government. The added tax revenues would also provide the country with “economic resilience,” and a fiscal reserve in the event of an international decrease in demand for ores. According to the newly published report, Australia could greatly increase its levels of foreign direct investment by lowering its corporate tax rate to 25 percent in the medium-term. As part of the report’s preparation process, the Government had already responded to the suggestion saying that it supports the idea of reducing corporate rates, but would only aim to implement a 29 percent rate by 2012. The report also suggested that the Government should increase the national Goods and Service Tax (GST) rate and “broaden the consumption tax base.” The IMF claimed that the revenues from an expanded GST system could be used to finance the abolition of payroll taxes and insurance taxes.